and I need a Respite. Well if Gabriel were in Mumbai during the Indian Summers, I am sure he too would have sung the same. Well, the bad news is that he is not in Mumbai. However, the good news is that we have something cooler here in Mumbai, err, close by to this "Maximum city". 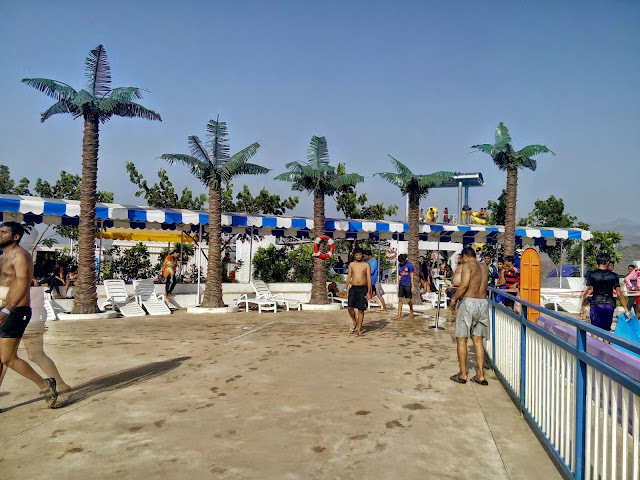 So when I went to the CCDSummerSlam, a few days back, the emcee asked me a tip from Lifestyle blogger's point of view to combating the Summer Heat. My answer was simple- I would love to soak myself in a fancy looking tub with view to my Television. Oh yes, I am a water baby. And what could be a better way to combat the heat, then soaking yourself in water, all through the day? Well, water and space in this maximum city are a scarcity. However, wishes were not as wild as horses. 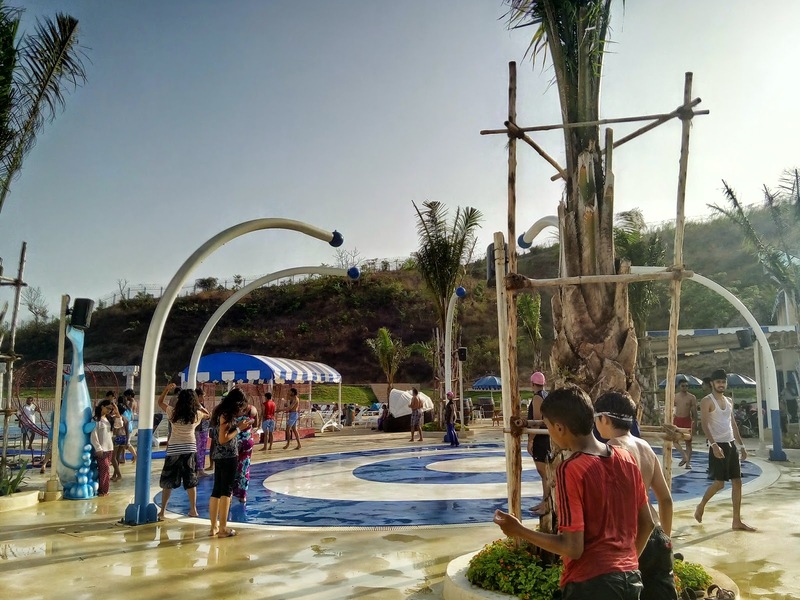 For Adlabs, the same co that runs one of the finest leisure parks in India- Imagica, had recently unveiled/ launched their water theme park at Khopoli, Pune. Dream your denizens, it is time to soak the sun. 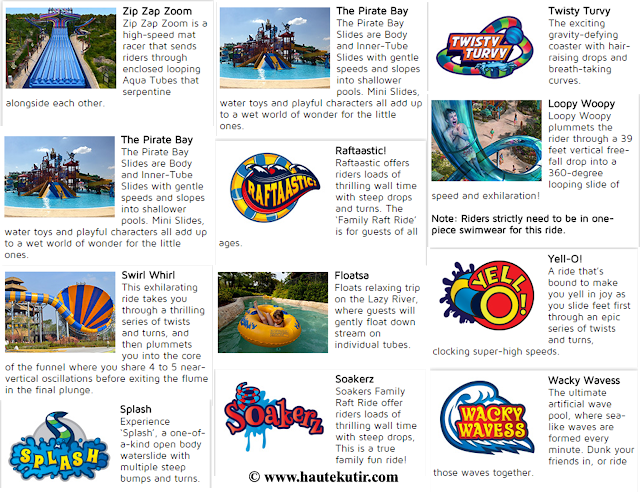 Aquamagica: It is a water theme park built in the Mykonos Theme from the land of Greece. 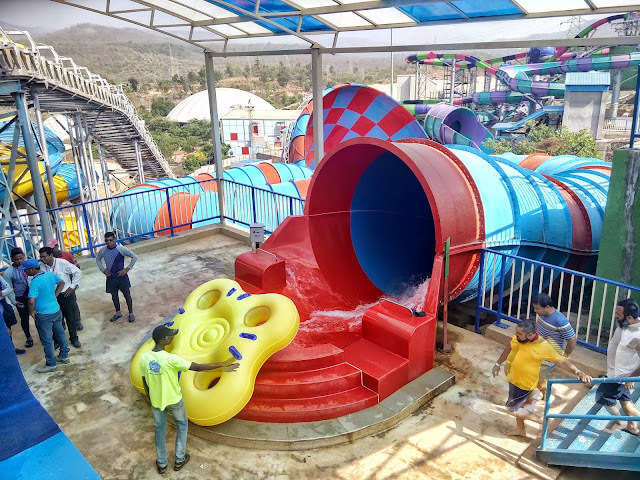 It has around 14 kinds of water slides and wave pools including an aqua loop, individual and family slides, natural light effect rides, rattlers and many other aquae based entertainment such as a beachfront, waterfalls, cabanas. Aquamagica promises to be one of the coolest water destinations of India and invites visitors to take a 72-feet plunge in water, daring drops at stimulating slides, laze around in the pool and much more. Not just that, they have a mouth-watering food and beverage options at the park. So when Team Aquamagica invited me to come and splurge a day with them, filled with thrilling water rides, followed by relaxation in the cabana set up at this Mykonos themed water park, I heartily agreed. What followed was a beautiful day in the sun and uber cool Aquamagica. The park management sent us the cabs for pickup and drop. No sooner, did we reached the venue, we were greeted by the efficient teams who helped us board the bus that takes to park from the main gate and also helped us with "express passes" which was pre-loaded with INR 500 to manage our lunch inside. As soon as we reached the venue, we were treated to some amazing cold coffee and welcome drinks, followed by lunch. Express tickets as we all know is kind of "fast entry" tickets given to manage the time while jumping the queue at rides. It comes at a premium cost. I will entail that later in this post including other regulations and to-dos. Post lunch, we changed into swimming gears and headed towards slides and rides to explore. 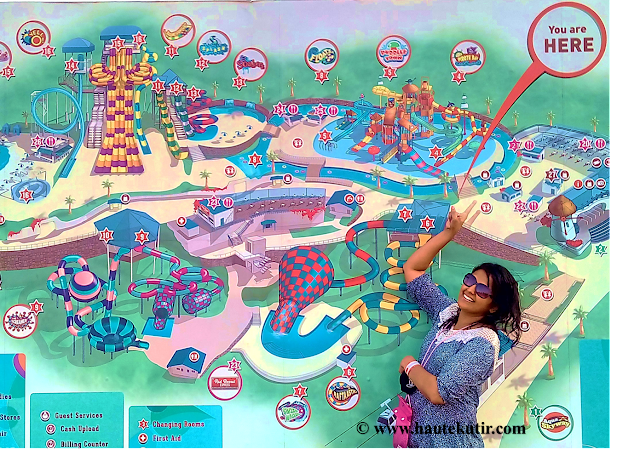 This giant route map came handy and helped us to determine the rides we wanted to take. We had limited time, so we stopped calculating and adopted FIFO- First identified, First Onboard, purely on "what excited us most mode". 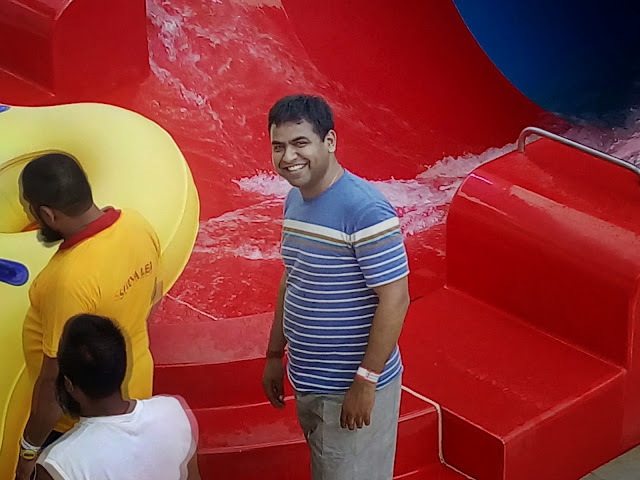 Manu gets cheerful, quite at the prospect of trying out what I call "Optical Illusion" water Ride. 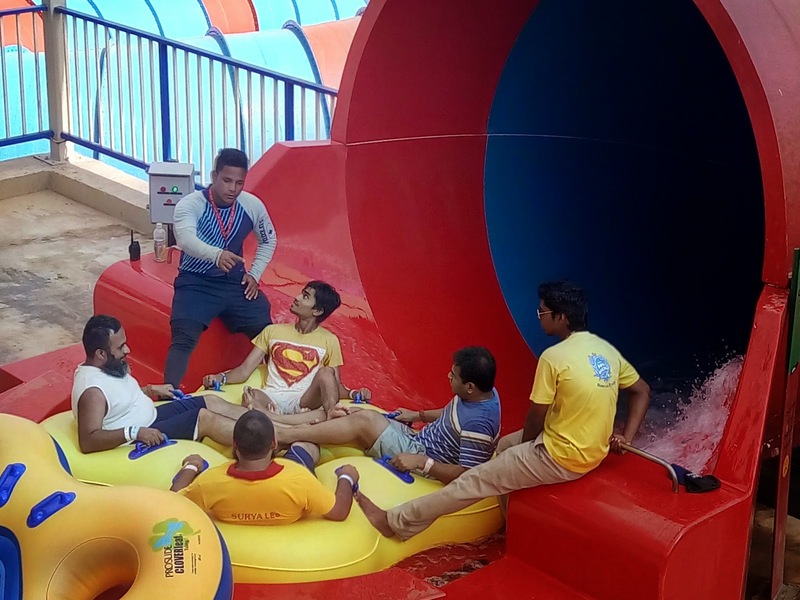 Here's the water-ride instructor giving them due instructions and answering their queries before pushing the tubs, in for the adventure through the loop pipes. As if it was not enough, we headed ahead discovered another swirly-twirly ride. We checked with the instructor and took another plunge at this one, together. 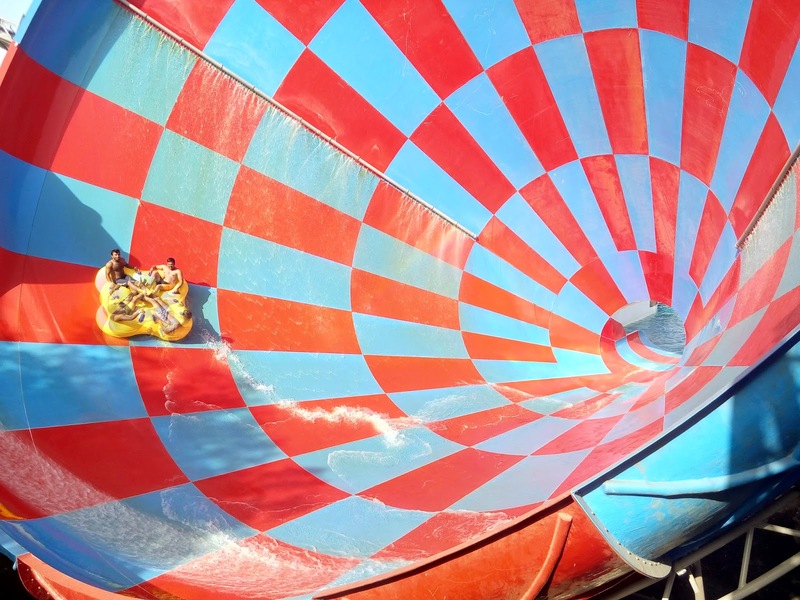 This was my first ride at Aquamagica and may be first ever water ride post my accident, I so much loved it. The best part was the way these rides were designed, ergonomic and safe. If you are there, do not miss this awesome rain dance. Do check for schedule and timing of the same along with one of the artificial waves. 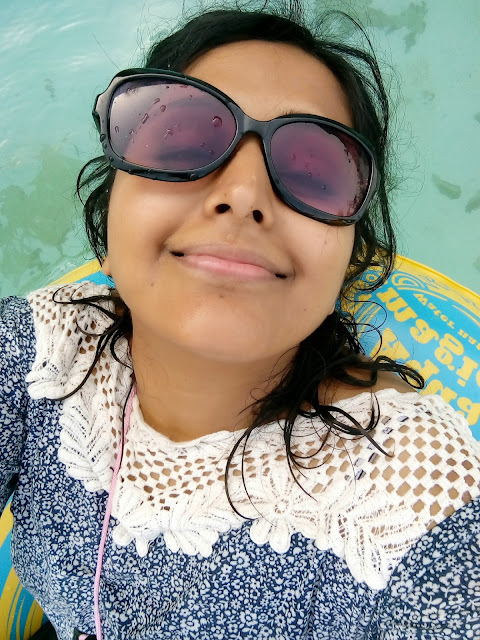 At the end of it, we moved to the lazy river, also known as "Floatsa", wherein two people can take a tube and swim lazily [float over the long pool water, amid the spurts and occasional spring showers. 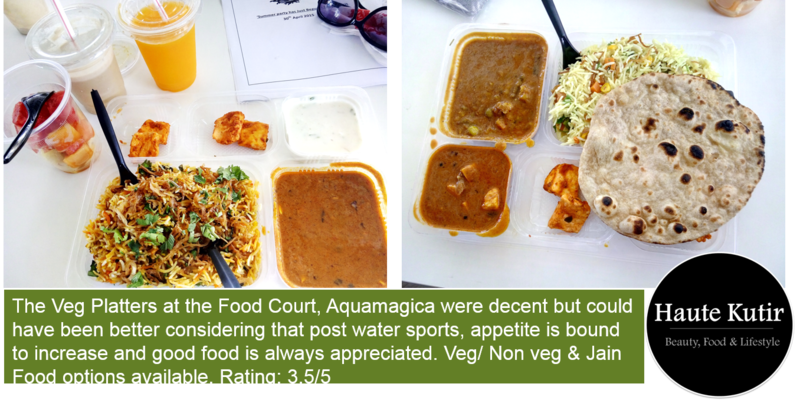 3) Good hospitality, good food. 6) Highly monitored and manned park- Attendants at every slide. 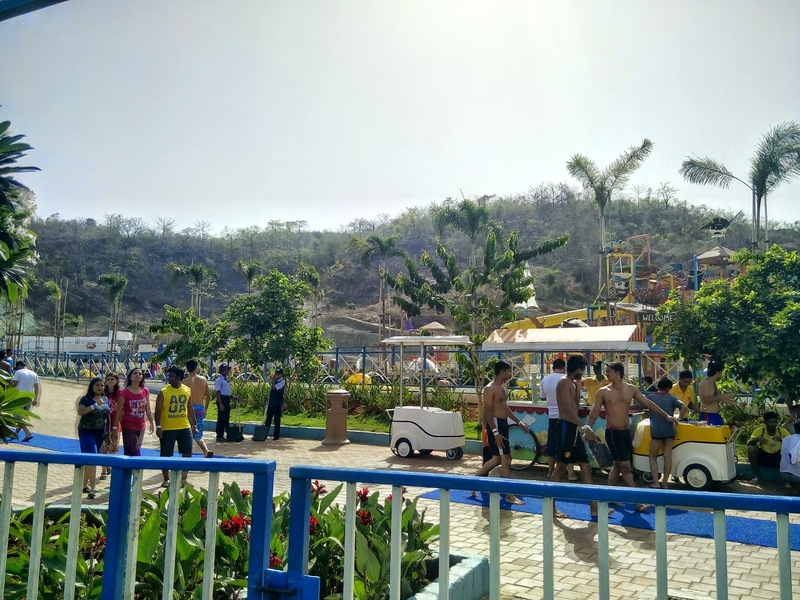 Apart from the overall infrastructure and facilities, if there is one thing that is outstanding at Aquamagica is the quality of their staff. 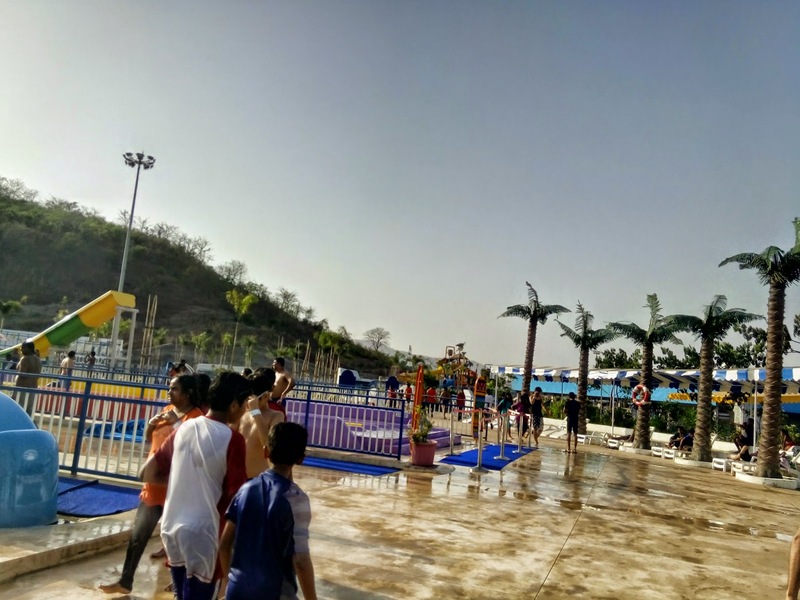 Irrespective of high heat, repeated queries and hundreds of visitors, the staff was most well behaved, courteous and watchful. I was so overwhelmed by their sweet nature gave the labor intensiveness of their jobs, I heartily thanked them before leaving and as a token of appreciation, I used all my loaded cash to buy a gift for the "nameless lady" from the changing room who helped me immensely. What I did not like- Nothing in particular except that the park is quite far from the city and may discourage frequent visits. 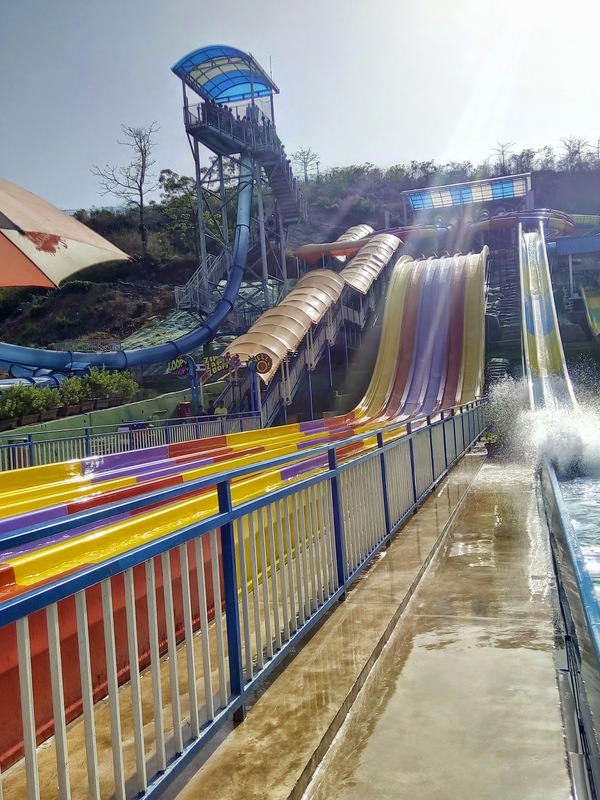 Second thing, I think can be improved is- some provision could be made for people with disability so they could also enjoy the rides. Will I visit again? surely. Do go ahead and splurge yourself at aquamagica, urry they are offering some attractive discounts too. To know more about the park, the charges, and rules, do visit their website. Do take your swimwear and other swimming gears with you. Kindly note that only nylon swimsuits are allowed and if you want to enjoy the loopy-woopy ride, you need to be in a single piece swimsuit. In case, if you missed taking swimwear, you can purchase it directly from their store. Food: You can purchase food from their 4 in-house restaurants. Well, that's not just all, there might be a cool #Giveaway coming your way. Follow @Numerounity on Twitter to unlock the same! So what are you waiting for? 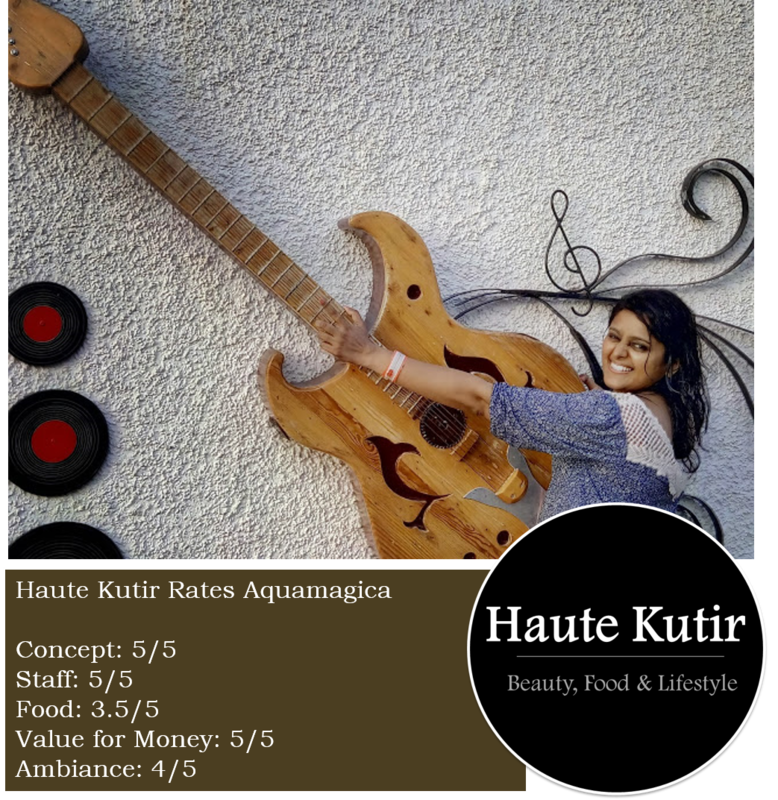 Join the summer fun with Haute Kutir and beat the summer heat with Aquamagica! Do follow me on Instagram, Twitter and Facebook Page for quick updates. the pics were just perfect to give an insight of the amazing experience you had. That's so lovely Clementia. Do visit and let us know how you felt. We would love to hear from you. looking nice place to visit once at least weekends !! 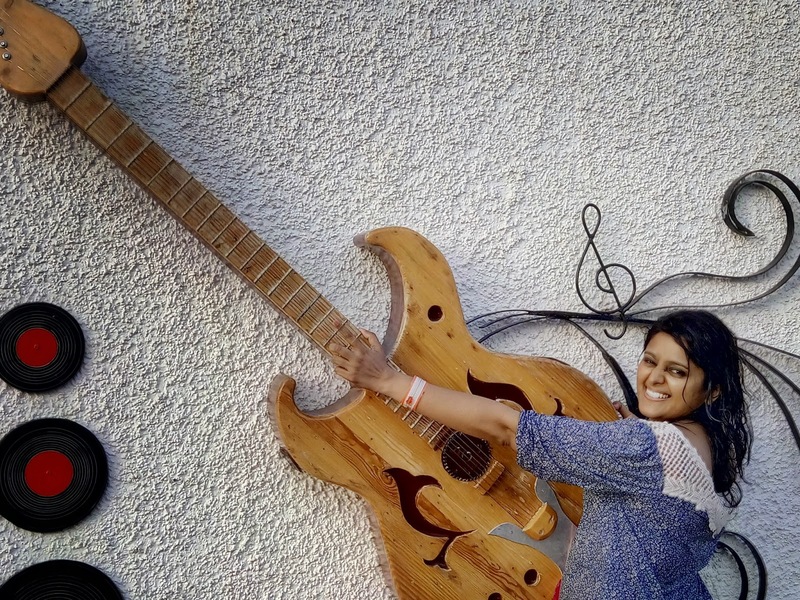 What a wonderful post Ekta, you have totally convinced to have a go atleast once this summer ! Loved all the pics!! 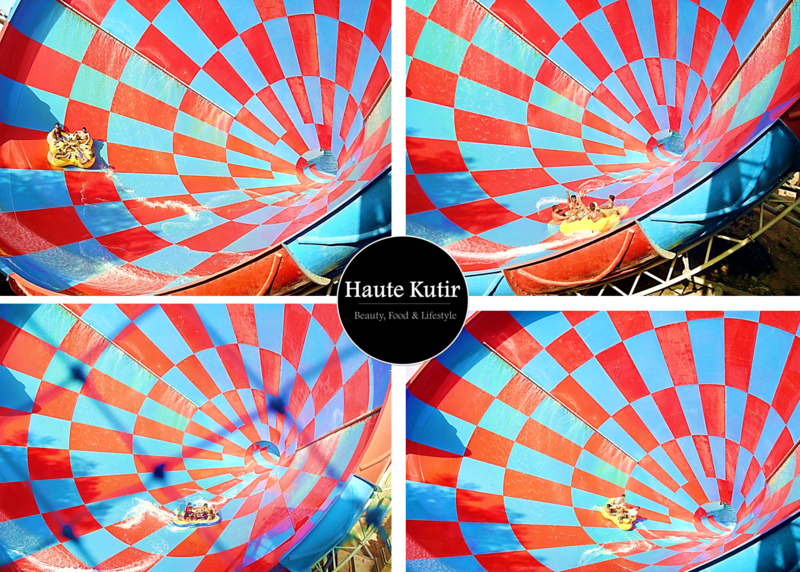 Lovely post, Beautiful clicks ! This looks quite a fun thing for the whole day... Next time when I am in Mumbai, I would love to do this..
Sure Manjulika..Go ahead and share your experience! Awesome pics dear and lovely write up. Nothing like a water park to make you forget the scorching temperatures.